How and when to send invoices to clients, what information one should include in an invoice and how one can make sure invoices are paid by clients? Invoice is a document issued by the seller to the buyer of the total amount due and the breakup of each product detail or services offered. In freelancing, the invoice is a document issued by the freelancer to the client of his or her services offered. It should consist of the details of each service provided. The invoice can be sent weekly or monthly depending on the pre-agreed terms with the client. My prefer choice is always sending a weekly invoice to my clients and I keep Saturday for invoices. How I Send Invoices to my Clients? 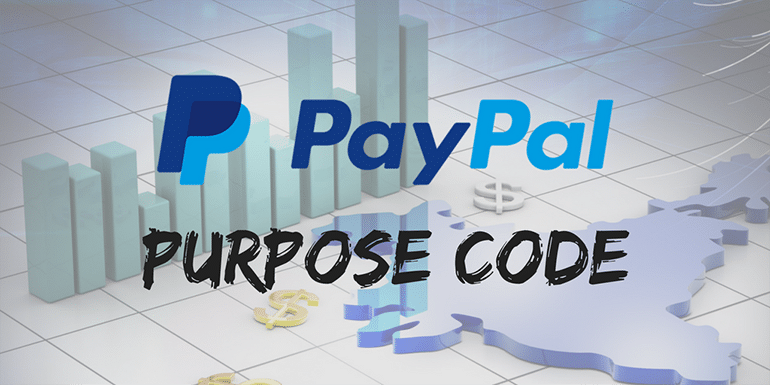 I prefer PayPal to send invoices to all my clients because it is simple to send an invoice and my clients prefer a PayPal invoice. Add the client’s PayPal email. 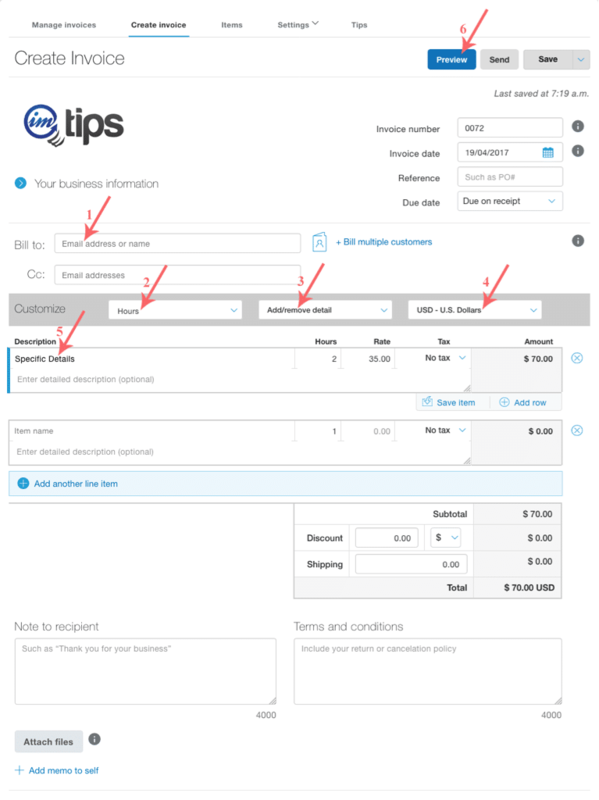 Customize the Invoice for Hourly, or amount based invoice. Customize Invoice to include tax, discounts, shipping etc. Select preferred choice of currency. Preview or send the invoice. Apart from PayPal my other preferred method of getting paid is Upwork where I send timesheet on a weekly basis. We don’t need to send an Invoice and Upwork does it on our behalf for sending the invoice. I don’t use any other invoicing software because I seldom send invoices to clients apart from PayPal / Upwork but if I had to, I use Excel. If you prefer to use Excel for Invoice, here is an invoice template shared by Fahim on ExcelDataPro that is simple and does what a freelancers may need. You may need to make some cosmetic changes to it like a change from qty to hours, currency as per the need of client etc. If you prefer to create an Invoice online, Use FreeInvoiceBuilder.com. When one should send an Invoice? I will share my personal experience of when I send invoices to my clients. There are 3 types of clients that I deal with. I normally prefer to issue an Invoice every saturday for all my clients and I let the know very well in advance when I will be sending them an invoice on every weekend. It is part of my proposal flow and I convey the same as soon as my first weekend is near the corner. Just one line where I say, I will be sending the invoice of thw work done so far. As an exception, if I started very late in the week or if there is no significant work that has been done, I tend to avoid sending the invoice. There are some clients where the work is not hourly or weekly and it is on a per task basis and if that is the case I send the invoice as soon as the work is done from my part but I also let them know that we have a support window for pre-agreed time when we will be doing the support even after the invoice is paid. In the invoice detail, I break down the amount that I charge for the included support. If some clients prefer to make the final payment after the support term, I try to keep the support time short and also keep the amount for the support significantly les in the invoice so I have most of the payment. Even if I start late in the week, there are high chances that I complete few milestone. The way I do it is, shortest milestones first. So I can quickly complete few milestones and include them in an invoice to the client. Apart from my clients, I have freelancers who work for me and send me invoices. I prefer to hire people on per task basis and my payment terms are – Invoices will be paid as soon as my client considers the job as complete and makes the payment. What Information Should be Included in an Invoice? Personal Name – Even if you are sending an invoice from a business name, include a personal name or contact person to help client identify the source of invoice. Tax ID – Tax information is a must on invoices even if client is an overseas client. Always include the local tax ID on the invoice. Address – The physical address for the business. Contact Details – Skype/phone number/Email and any other contact information that you prefer shaing on your Invoice. Client Details – Invoices needs client business details so it can be used as a document to claim tax benefits for clients. 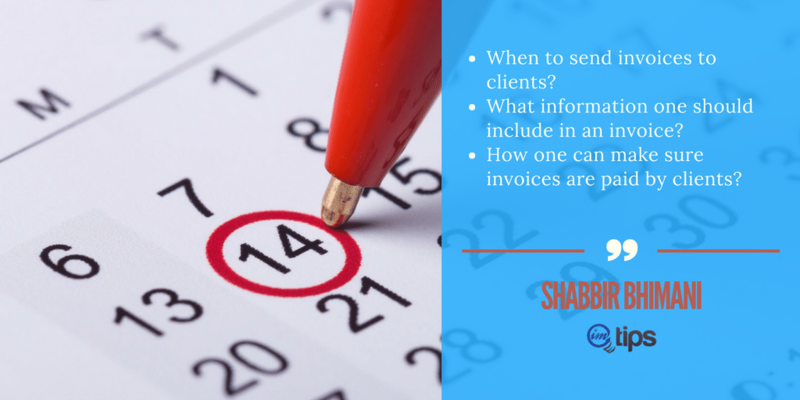 Make sure you ask client’s business details to be added to invoices. Invoice Date – The date when the invoice is prepaid. Invoice Number – To track the status of the invoice. I use PayPal Invoice number for PayPal invoices but if I use Excel Invoice the Invoice Number format I use is Today’s date followed by a number like 1,2,3. Due Date – Invoice due date may be different from invoice date depending on the pre-agreed payment terms. Ideally you can make the due date as 7 days after invoice date if your payment terms is to pay the invoice within 7 days of receipt of invoice. I normally keep my due date same as the invoice date which means the invoice is due as soon as it is sent. Even if invoice date and due date are same, make sure invoice has a due date. Item Details – Each item in the invoice should be as detail as possible to avoid any confusion that a client may have when hitting that pay button. How to make sure invoices are paid? With Upwork everything is in escrow but for my direct clients, I prefer an Upfront payment of 50% and rest when the job is complete. At times clients will not agree with your payment terms and you can remain flexible for those clients. The best way to avoid payment conflicts is to make the payment terms clear. I prefer to smaller tasks from clients but if you have large clients, you can have milestones based payment instead of upfront payment as well. One more reason for being paid on time is to use the detail field to provide as much information as you can to make sure your invoice does not come up with surprises when it hits the clients inbox. You can even provide disounts to clients if they do an upfront payment. It is a win win situation for both. You get the money early and your client gets a discount. Normally I offer this only to my regular and long term clients. In my early days of freelancing, I had a client where I sent an invoice in PayPal that wasn’t paid for a long time. I never knew the reason for not being paid. A few months later client needed more work done, I asked for the earlier payment and it so happened that client never got that email from PayPal or client just missed it. When asked he paid the invoice instantly as well as made sure the next payment was paid in advance. It wasn’t intentional to not make a payment but at times some emails can just skip from the inbox and send a friendly reminder can help. Also, you can prefer an alternate method of contact than email like a Skype chat or iMessage (Many of my clients prefer iMessage) to ask about the unpaid invoice. First of all, thanks Shabbir. Appreciate linking my invoice template in this article. Liked the discount part much. Creating a win win situation always helps in any business we are in. The pleasure is all mine Fahim.